Professor David Lynn is an internationally recognized researcher in biomolecular chemistry, molecular evolution and chemical biology, the evolution of biological order and the origins of life. As an expert for the media, Lynn can help translate complex science for the general public, discuss issues related to synthetic biology and explain how evolution works. He also can discuss the greater role scientists need to take as communicators in explaining and translating their work to the public. As technology converges with the world of biology, and as genomic sequencing provides more information, scientists are learning "the most fundamental structural and functional secrets of living organisms," Lynn says, describing his research. "Dominant among them is the realization that the complex structures of biology seem remarkably, almost magically, to self-assemble. We hope to understand the structures and forces that enable supramolecular self-assembly," that is, how chemical information can be stored and translated into new molecular entities. Understanding supramolecular self-assembly can play a role in new drug design and genetic engineering, and can provide a better understanding of the origins of living systems, he says. Lynn’s research, for example, has examined the changes in the folding of protein molecules, which can lead to complications such as diabetes and cataracts, neurodegenerative diseases such as Alzheimer's, Huntington's and Parkinson's, as well as disorders that move between species, such as mad cow disease. 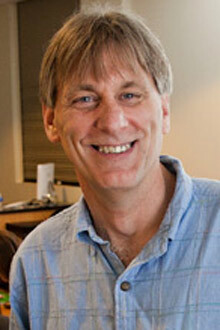 Lynn joined Emory in 2000 as the Asa Griggs Candler Professor in Chemistry and Biology. In 2002, Lynn was named one of 20 inaugural Howard Hughes Medical Institute professors, receiving $1 million to translate his passion for science to the undergraduate classroom. The result has been a popular series of freshman seminars called "Origins of ORDER (On Recent Discoveries by Emory Researchers).” He also has pioneered several creative science/arts collaborations at Emory to bring a better understanding of science to the public through art.